Meet some of our team members by checking out their bios. See the family and friends spot and "Behind the Scenes in Sterling" to meet some of us face to face. 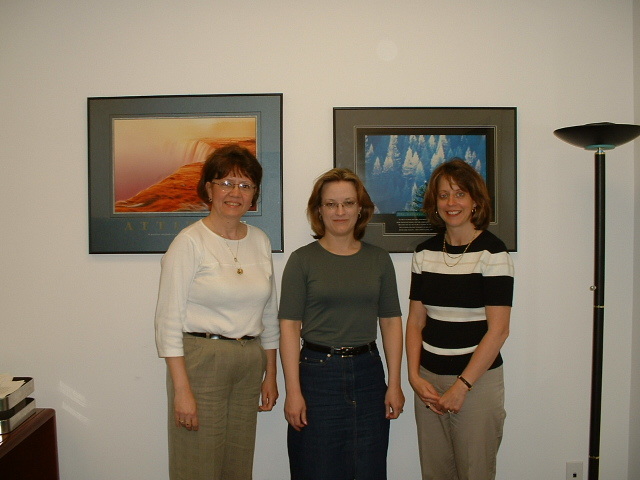 Don't forget to stop by our newest addition, some photos from the 2004 Transcription Services Meetings in Sterling. CLICK ON THE LINKS BELOW TO MEET THE TEAM MEMBERS AND FOR OTHER FUN AND INFORMATIVE STUFF! PLEASE BE SURE TO SIGN OUR GUESTBOOK! CLICK BELOW! Email webmistress Jeannie Bohn at Jeannie.Bohn@healthscribe.com !